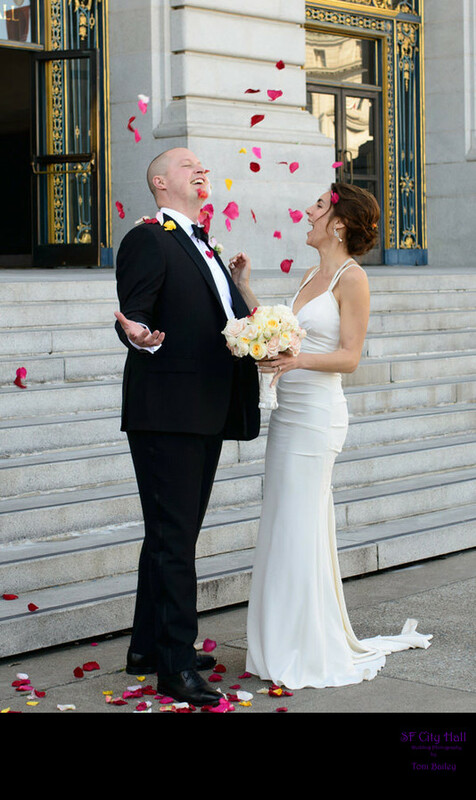 These newlyweds are celebrating their newly achieved Nuptials by throwing confetti in the air on the steps of San Francisco City Hall. We were lucky enough to be there to catch this fun moment. The best professional wedding photographers should always be ready to capture images like these because candid moments can often be the favorites of the bride and groom.